John paints a dramatic picture for us as Jesus tells the disciples that one of them will betray him. We can draw 4 lessons from the event. 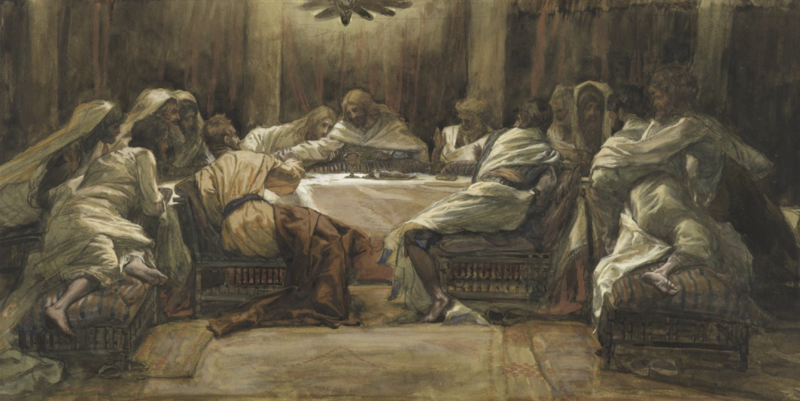 Judas’ presence at the Last Supper reminds us: God uses things we would never choose to do things we could never imagine! That means we can not only put up with bad stuff, but that we can always rejoice in God’s purposes. Jesus promises his disciples that his betrayal is known in advance by him, so they will believe in him. We can draw the same comfort from God’s word regarding the state of the world and the church. Judas’ pretense reminds us not to be surprised when it turns out that people who claim to be Christians don’t have a real faith. In fact, the process of gracious fellowship and the exercise of biblical discipline in a church should lead to those who do not have a real faith leaving a church or being converted. Judas’ perdition was brought about at the moment of Jesus’ greatest grace to him. In the same way, the greatest spiritual danger we face as Christians is of hardening ourselves to God’s grace by taking it for granted or by not extending it to others.